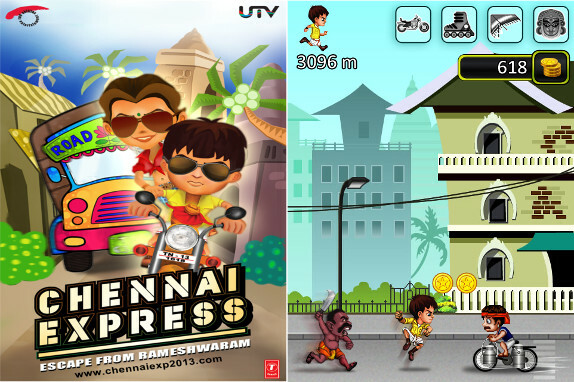 Disney UTV’s Digital arm has launched the official mobile game based on upcoming Chennai Express movie. 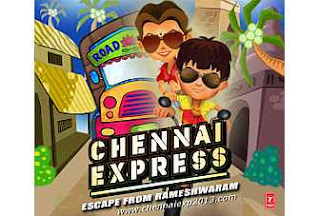 The game is title Chennai Express: Escape from Rameshwaram, in which you play the role of Rahul (Shah Rukh Khan’s movie character) who goes on running adventure and fights his way through an army of thugs from Chennai while dodging obstacles like trucks, buses, cars, coconut carts, manholes and more. 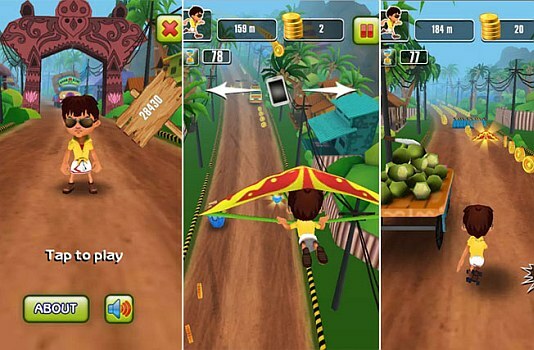 In this fast paced running game you can unlock a special Deepika Padukone avatar, by collecting more than ten thousand coins in a single game session. The company promises that the upcoming versions will give the player the ability to buy special power-ups and upgrades from an in-game store using collected coins, and offer unlimited gameplay. Chennai Express will hit theaters worldwide on Eid – 9th August 2013. The game for iPhone and iPad would be available around movie release.